Welcome To NaijasilverEntertainment blog: Tweet: Popular Twitter prophet, prophetess Andrea 'demonizes' Beyonce's BET performance, says people's spiritual eyes are closed Lol... Thoughts? 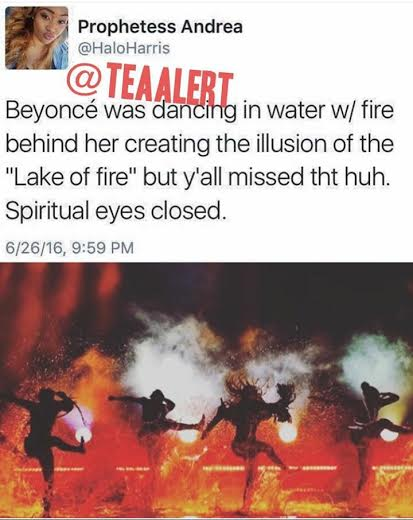 Tweet: Popular Twitter prophet, prophetess Andrea 'demonizes' Beyonce's BET performance, says people's spiritual eyes are closed Lol... Thoughts?